Villas in Italy. Over 2000 properties of all types. Large groups a speciality. Tennis court, table tennis, billiards, honeymoon villas, fenced pools, etc.. Almost all with swimming pool. We have a villa to suit every type of party. See the list in the left hand panel. For Tuscany, Umbria and Lazio. Specialisms: Southern / Eastern Tuscany (including Siena, Cortona, Lake Trasimeno, Val di Chiana, Arezzo) and the Tuscany/Umbria border. Flexible arrival and departure on any day of the week in April, May, June, September and October in ALL properties in this brochure. (Minimum stays apply – please check in each property description). 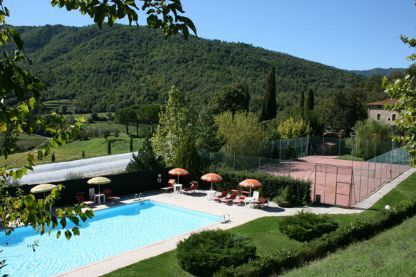 For Tuscany, Umbria, Lazio, Amalfi & Sorrento coastline, Campania, Apulia (Puglia), Liguria and an increasing number of properties on Sicily and Sardinia. Specialisms: Pisa/Lucca/Florence/Siena/Chianti area & the Tuscan coastline. Features a growing short-stay programme with minimum rentals of just 3 nights. Also flexible arrival and departure dates on weekdays, particularly outside of July and August, in many properties. Large group holidays, family reunions and wedding rentals a speciality. Or why not save time and money by using our free tailor-made search service?